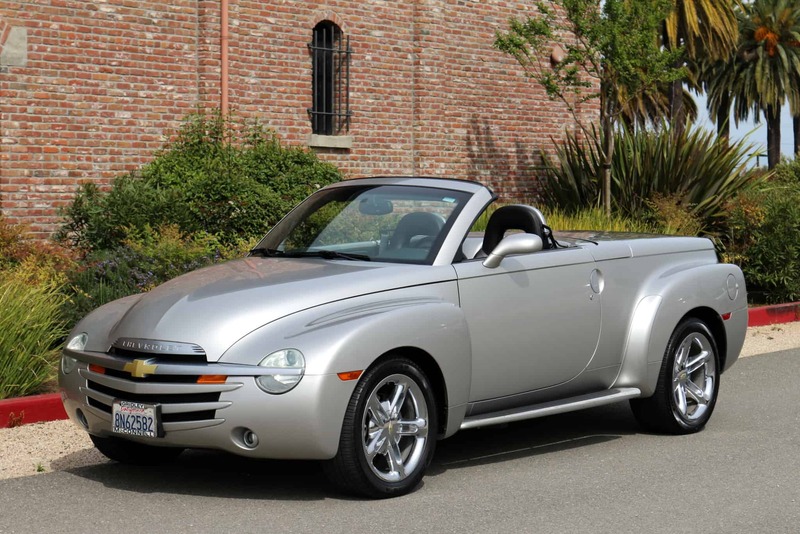 2005 Chevrolet SSR Sport Truck: Electric convertible top; Bose stereo system; six-speed manual transmission; heated leather seats; original paint; clean carfax (no accidents). Engine rebuilt at around 70K miles. Beautiful Silver/Black color combination, great styling. We go to extents to document our cars in pictures and provide the most transparent listings on Ebay. Please study the pictures carefully rather than requesting descriptions. Please complete any inspections or ask any questions prior to bidding or committing to buy the car. Thanks for the interest!